Caitlin is Editor in Chief at Page19 and frequently writes about marketing, communications, and creativity. An edited version of this post originally appeared on Blinkist. Sometimes it’s a lecture. Sometimes it’s a particular teacher’s words. Sometimes it’s a lesson from a parent or a friend, or even a life experience that explodes your conception of what’s possible in the world or what’s possible in you. And sometimes it’s a book (or ten) that changes how you think forever. 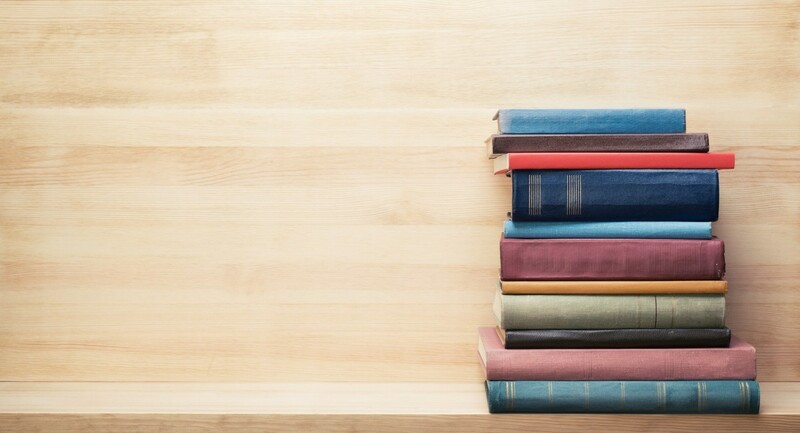 Speaking from experience, we think that this list of ten books by influential writers and thinkers in every field from psychology to economics just might change how you think about the world, work, other people, and yourself. We gravely underestimate the impact of luck and random events on our lives, using terms like “skills,” and “determinism,” when “luck” and “randomness” are the elements actually at play. In this book, Nassim Nicholas Taleb cites real-world examples to whip the veil of certainty from our eyes and explains that life is mostly governed by chance. Read this one for an enlightened view on why life is non-linear and not always fair. Sure, groupthink can be dangerous, but under the right circumstances crowds can make surprisingly intelligent decisions and even produce better results than the experts or the smartest individuals in those groups. If the group is full of independent thinkers who have no problem pooling intelligence for the common good, you’ve reached the apogee of collective brilliance. In this book, James Surowiecki summons examples from popular culture, psychology, and biology, and more to illustrate this idea’s implications on how we vote, decide, do business, and move through the world. Successful stories, advertising campaigns, and ideas with staying power share the same recognizable characteristics: they’re simple, unexpected, concrete, credible, and emotional — and they tell a unified story. In this book, Chip & Dan Heath explore why some ideas stick and others don’t, and how you can make yours more velcro than slip ‘n slide. Right brain aptitudes have been historically undervalued and dismissed, but as we move from the Information Age into the Conceptual Age, they’re becoming the future’s superpowers. What business is increasingly discovering is that while analytical, left-brain thinking is still important, it isn’t insufficient on its own. Being innovative, creative and empathetic are traits that help us succeed professionally, while also increasing our personal well-being. In this book, bestselling author Daniel Pink takes you on a journey that details the capacities of the two hemispheres and why appreciation for the right side, with all its inveterate skills in design, empathy, and humor, is growing. Routine work and innovative work are both important to a company’s success. But truly recognizing the differences between the two and understanding where each is most useful? That is invaluable. Stanford professor Robert I. Sutton offers insight on the nature of innovation and experimentation, failure, and creative freedom. It’ll blow up everything you thought you knew about creativity and offers ways to put more innovation back into your business via expectation setting, hiring choices, and strategies for dealing with both failure and success. Let’s talk for a second about extrinsic motivation: based primarily on rewards and sanctions that come from outside the self, extrinsic motivation is useful on a short term basis. In the long run, though, it’s passion and dedication that characterizes intrinsic motivation and truly fuels the search for meaning and success. The second on this list from Daniel Pink, Drive teaches you about extrinsic and intrinsic motivation, what influences each sort, and how you can build awareness of intrinsic motivation to improve your productivity and inspire others in kind. Both introverts and extroverts have qualities that can be extremely valuable to the people in their environments, but these personalities need different spaces and treatments to bloom to their full potential. In Quiet, writer and researcher Susan Cain reveals the differences between introverts and extroverts, how the “extroversion ideal” of the last 150 years has transformed the workplace into an extrovert’s dream, and how the talents of the two personality types can be combined for a stunning degree of success. Read this one to get in touch with your inner introvert and learn how to honor it in others. Look at acid washed jeans, the atom bomb, and Miley Cyrus and it becomes woefully apparent: we as humans make the wrong decisions all the time. We don’t always do what’s best for us. Why? Sometimes we have too little or overly complex information, or we act on gut feelings rather than reasoned plans. Sometimes we succumb to temptation, and sometimes we’re manipulated by external forces. Thaler, leading behavioral economist and advisor to Barack Obama, shows how nudges, or subtle changes in context that make it more difficult to make a poor decision, can help us achieve our goals. As little children we adopt a mindset, fixed or growth. Shockingly enough, this one selection defines how we’ll feel, what we believe ourselves capable of achieving, and what we’ll risk for the rest of our lives. Dweck, professor of psychology at Stanford, teaches us about how to identify our mindset, confront our own attitudes and ideas, and develop a growth mindset to realize our potential to the fullest. Read it to have your ideas about who you are and your own potential changed forever. Where does moral judgment come from? If you answered something like “firm rationale,” you’re wrong. Moral judgment actually springs from our ephemeral friend, intuition. Intuition works rather like a lawyer, justifying moral judgments to others and ourselves, supporting our reputation and self interest. The Righteous Mind exposes how it is emotion and intuition, not reason, that drives moral judgment, showing us how understanding the moral foundations on which our interests are based can benefit us in decision making.